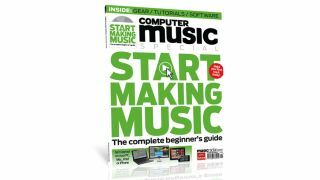 The latest Computer Music Special is your ticket into the world of software-based tune crafting. If you want to start making music on a computer, phone or tablet but don't know how, you need the latest Computer Music Special. This all-new beginner's guide will help you to make your first track today and features gear guides, step-by-step tutorials, tips and a CD stuffed with support files, software and samples. Find out what you need to create your computer music making setup. Discover what DAWs, software instruments, effects, audio interfaces, MIDI controllers, monitor speakers and effects are and get buying advice with our product recommendations. Easy-to-follow walkthroughs on the key aspects of computer and iOS music making. Learn now to record and edit your first part, program drums and synths, make music with samples, build an arrangement, mix your parts into a finished track and remix someone else's.